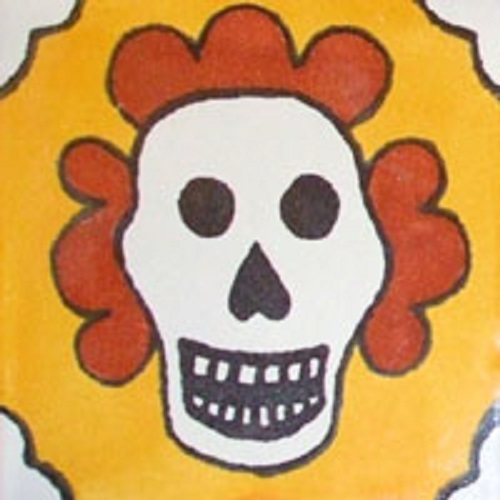 Mexican yellow day of the dead pattern. The painting includes also terra cotta and some rustic quite in the corners separated from the rest of the background with black lines. Estimated shipping from Dolores Hidalgo to the US mainland address is four weeks from the order date.